Many of us are no-reply bloggers. I thought I wasn't a no-reply blogger. I was certain I wasn't. And let me tell you, many of you are one as well! How do I know if I'm a no-reply blogger? Is your blog a Blogger or blogspot blog? Did you upgrade to Google+? Then you are a no-reply blogger. What is this then, this no-reply blogger thing? 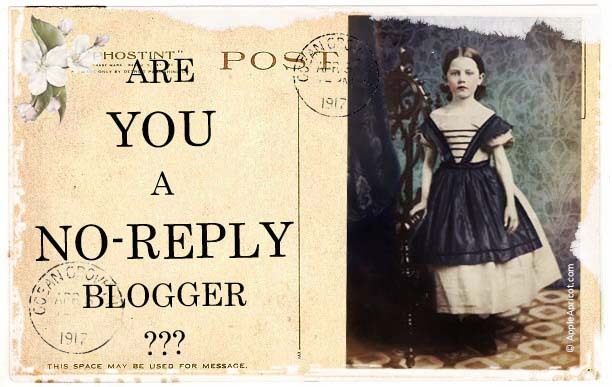 As a no-reply blogger, when you leave a comment on a blog, the receiver of your comment will not be able to see your email address in the notification he/she receives in his/her inbox. Instead, it says "noreply-comment@blogger.com" and replies to that address will disappear somewhere in the void. Never to be read. Which means, your blog friend will not be able to reply on your comment. At least not directly. 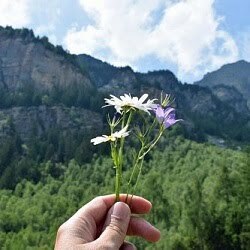 If you'd like to receive replies now and then from fellow bloggers then may be you should care. Your blog friends might have to go an extra mile to find out your email address. on how to check AND fix this. Adriana told me that if you fix this, Blogger will again delete your email address after a while if you convert to Google+. Grrr. One reason to not go back to Google+ again (and skip the last step of the tutorial). Also, I noticed that some of us are no-reply bloggers without ever having converted their Blogger blogs to Google+. Does anyone has an answer/solution to this? Of course you're welcome to use my "no-reply blogger" blogbutton, if you like. 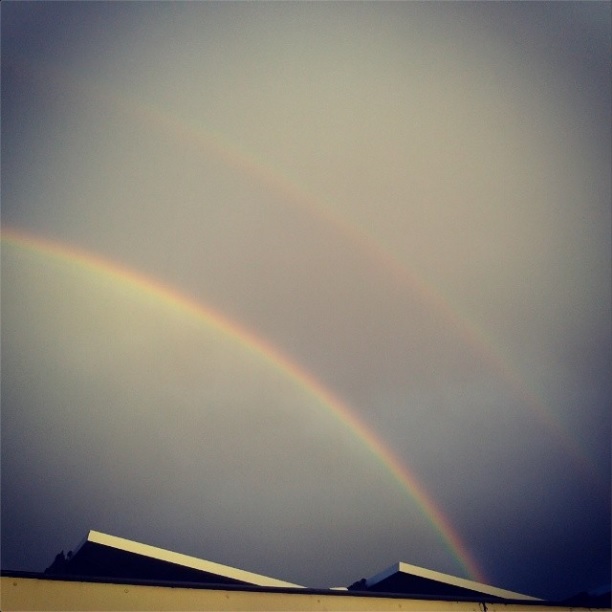 By the way, I was so lucky as to find me a double rainbow today! Wishing you a peaceful Sunday and a beautiful week! Wat een hoop tekst....en dan ook nog eens in het Engels, ik kan er niet veel van maken zo. Ik zal samen met mijn zoon eens kijken, die heeft nl Engels op school en zal mij wel kunnen helpen met jou tekst. Wow, a double rainbow, what a great shot! Don't see those very often! I am so with you on the no-reply blogger issue. It is VERY FRUSTRATING not being able to, for example, thank new followers, or to answer questions that cropped up in comments, or just to respond to some comments. Every now and then I mention it in a post on my blog, but it doesn't seem to achieve much. 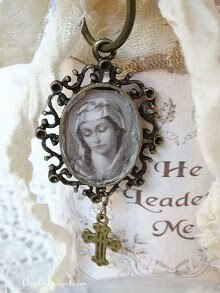 May I use your image and link on my sidebar, pretty please? Phew ... That's a lot ... Love your photos! The bad thing is that although I change back to reply-blogger after a while I am back to no-reply blogger. I think blogger does that by itself. So now a question. How do I get off google+? Having not changed to google+ I hope I`m not a no-reply blogger,- but thank`s for writing this, I find google + difficult in many other wayes ,too, and don`t want to upgrade untill I am forced !!! Your rainbow, collage..maybe seen before...but wonderful showing the happy colours of a rainbow, dear !! I am also not at google + and I am not sure about it. I don't know nothing about the no-reply blogger and that is such a topic until now. I think I leave a comment if I like somthing especially, but I don't expect an answer. What pretty colors you found! As for google+ I hate it and won't ever use it. It controls too much stuff. As for no-reply, I only email a reply if there is a question that needs an answer; otherwise, the right thing to do, in my opinion, is to place a reciprocal comment on their blog. After all, comments are to let you know others have been to your blog and returned comments let them know you appreciate them taking time to leave them! Great to see you are not a no reply blogger anymore. I never upgraded to Google plus so I didn't realize that was what was causing so many to become no reply bloggers, thanks for the info! Have a great week. I am a no reply gal.. I have changed it so many times and it changes back. So frustrating.. I guess I should try again.. Loving your double rainbow my friend. Wendy, thank you for sharing this tutorial and explaining what I was unclear about. I've been told I'm a no-reply blogger but couldn't understand after changing what I thought were the provoking settings. I will try this and see what happens next.